Oil and gas rig counts fell in the past week in several energy-producing states including Oklahoma where the count dropped one to reach 119. 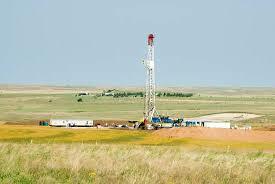 The national rig count grew by 2 to reach 1,051. It included 3 more oil rigs to reach a total of 857 while the gas rig count dropped by on e to 194. The national count is still 76 more than a year ago when there was a total of 975 rigs. The nation’s off-shore rig count grew by two to reach 21 according to the Baker Hughes Co. Oklahoma’s rig count compares to 35 in Colorado where the number remained the same as a week ago. The Red Top Rig Report by the Independent Oil and Gas Service in Wichita reported the Kansas rig count grew by one to reach 33. Louisiana added four to hit 66 while New Mexico’s count slipped by two to 109. North Dakota dropped one to hit 57. The count in Texas dropped by two to 509 while Wyoming saw an addition of 3 rigs to reach 37. 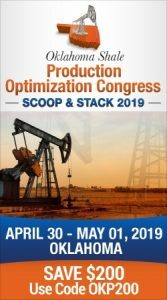 Of the oil plays in the area, the Woodfords in Oklahoma remained at 10 rigs while the Granite Wash saw a decline of one to hit 4. the Mississippian in Oklahoma and Kansas remained at 10. The Permian Basin in Texas and New Mexico dropped by 5 to 473. The Williston in North Dakota dropped one to 57. The D-J Niobrara in Colorado and Wyoming remained at 31.